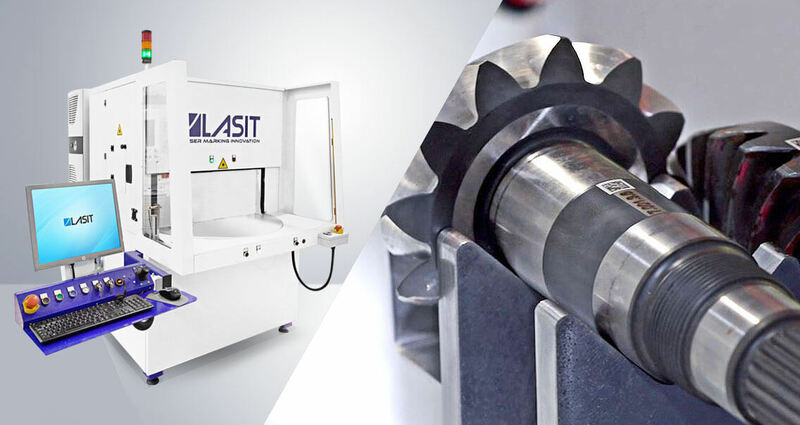 About 3 years ago, a major American automotive component manufacturer asked Lasit for a marker to track the bevel gears and the differential of cars. 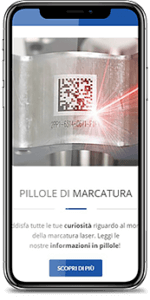 Naturally, the client required precision and reliability of the marking, alongside productivity and the ability to check the quality of the DataMatrix codes marked. We thus designed and created Rotomark X, a customised marker capable of meeting all these requirements and guaranteeing extreme levels of precision and resistance. The marker has a steel structure, the cabin is equipped with an X and Z axis and a rotating table. It also has a lateral video camera that inspects, recognises and reads the marked DataMatrix code. Marking larger components could lead to a machine stability problem. This is why we created the entire structure in welded, distended and milled steel tube. Despite the greater acceleration of the axes, there is no risk of vibrations and the Rotomark X remains stable and fixed even in the event of movements or accidental knocks. We have also equipped the machine with controlled pneumatic clamps using software that lock the rotary table in place during marking. This guarantees the perfect result every time. The second requirement was in relation to a larger quantity of components to be marked in a shorter period of time. In order to implement productivity, we have equipped Rotomark X with an X-axis for transverse movement on the plane, which allows us to increase the marking area to 150x650 mm. Thanks to the mechanical cam rotary table with double station, the machine marks in masked time, which considerably reduces working time. Rotomark X is an example of Lasit customisation made to satisfy the customer's needs while also guaranteeing total reliability. 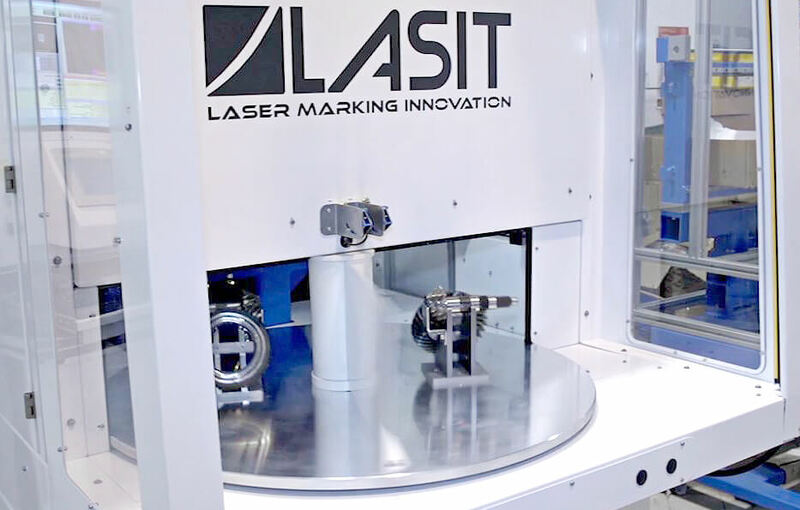 We have established a very strong working relationship in the last three years, with over 15 laser markers currently operating in America for this company. In addition to increasing productivity, the client also wanted to be able to check the quality the DataMatrix marking. This is why we integrated a vision system with side camera on the Rotomark X, which offers a very wide view, perfect for re-reading the 2D codes (DMX, QR) as well as for centring the marking on smaller items. The software is programmed to automatically move the X axis so that the camera is in line with the marked code. We also added an integrated circular torch with intensity regulation to offer a clear view of the entire area in question. Our customised software allows you to immediately see the degree of marking and the quality of the work on the monitor. 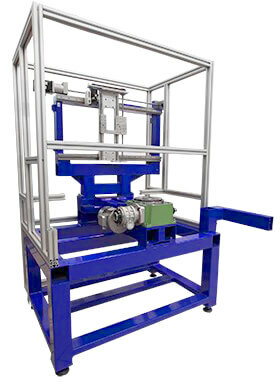 The technical system of Lasit machines is perfect for use on Automotive components. Support of our qualified Lasit team comes with each specific machine. Stay up to date on curiosities and the latest news on laser marking! By submitting this form you accept ours privacy.